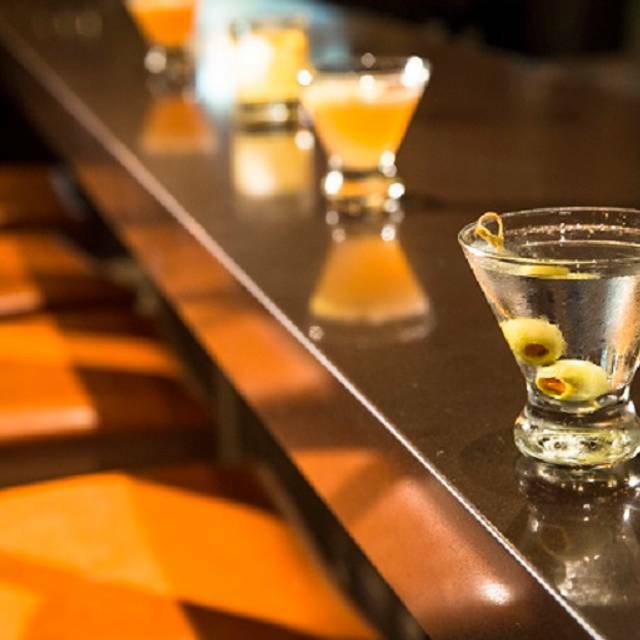 You must make reservations at least 5 minutes in advance of the time at Bazille - Nordstrom Houston Galleria. 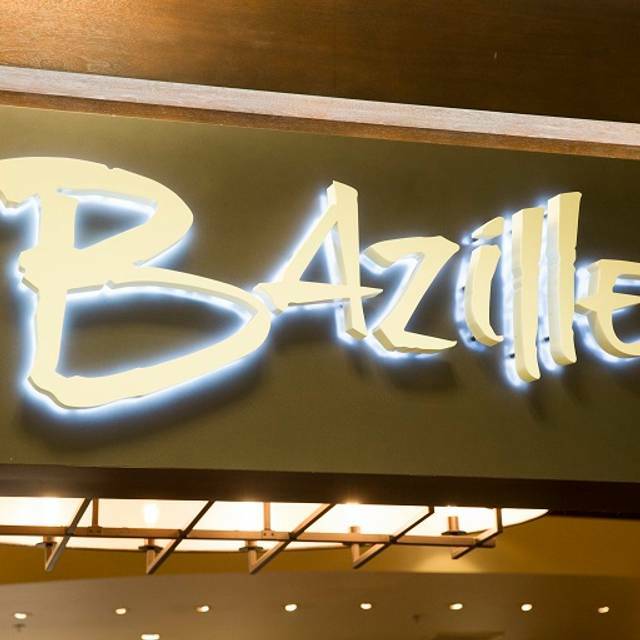 Bazille is located on the third floor of Nordstrom in the Houston Galleria Mall. 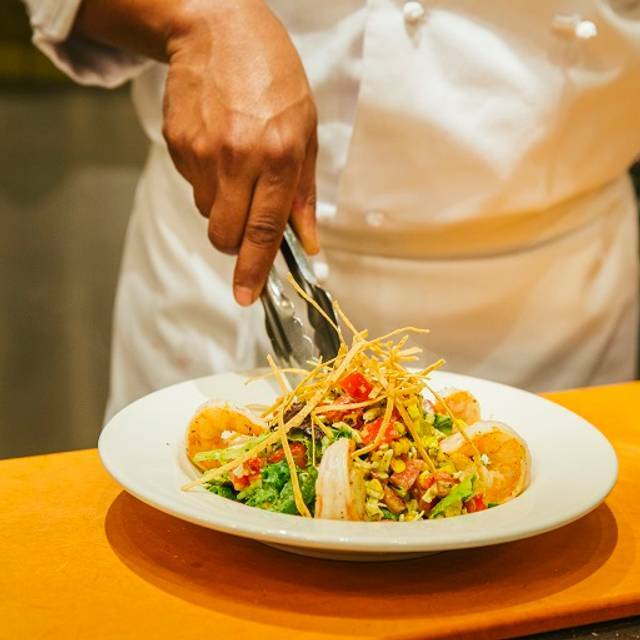 Enjoy one of many offerings prepared in our scratch kitchen, like a Cilantro Shrimp Salad or Prosciutto & Arugula Salad Pizza. 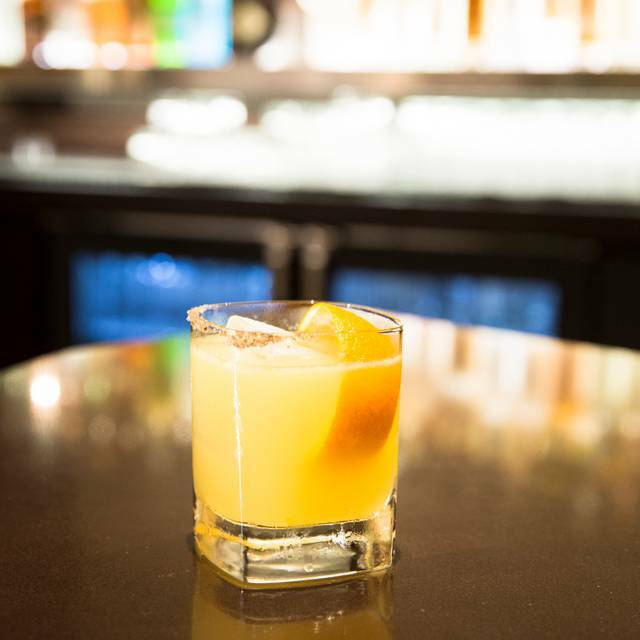 We welcome you to stop in for a refreshing hand crafted cocktail or a nice glass of wine. We look forward to seeing you soon. We took a 4-year old to buy shoes then celebrate her birthday at Bazille. It was perfect! Food was not too "fussy" for her and yet wonderful for the adults. The waiter was kind and paid close attention to our time schedule. The ice cream and chocolate birthday cake were fantastic too. I look forward to going back again soon. Delightful food in a great atmosphere! You cam actually have a conversation here! Things have changed a bit here since we started coming a few years back. It's still good, although I remember it better. Service is still good, but food and wine are hit and miss. Service good, food good, but I always felt this place could be great. Despite having an open table reservation, the hostess at our arrival told us it would be over an hour with multiple large tables available. Another person walked up and said it would only be a moment. They were a little disorganized. The waitress was very warm and pleasant. Unfortunately, they ran my credit card on someone else’s bill. It took time to sort that out. The worse service EVER. Our waiter looked unkept and worn out. He must have been overworked or something was going on with him. He was always not around. Quite disappointed because this was inside Nordstrom’s and I had heard so many good things from my friends. I had to constantly ask for help and I even asked other servers. Normally other places would help each other out. These servers just looked at me and went about their business. Quite frustrating. Also, TWO of the items we ordered never came out either. Would I recommend this place to anyone? ...definitely not. Always good. I take clients here and am able to carry on conversations easily. Very enjoyable and the service was good. I love their Nicoise Salad and the club house sandwich. You will never go wrong with these. Price is reasonable and the servings are just enough to fill you up. I also love the fries that comes with it. Felipe always delivers. Knows what I don’t like. The staff in general is great and friendly. Felipe always delivers great service. The food is good but pretty pricey - my grandson’s and my lunch was $40 before tip. He had iced tea; I drank water. This was not our usual experience. They were slammed because of Anniversary Sale—running out of food, plates and silverware. Still enjoyed ourselves. Just missed a few of our favorites and the normal level of service. My daughter was looking for her wedding dress and we had lunch before our appointment. Our waitress was top notch- very attentive and made sure we understood the tastes may be slightly different than expected. The kitchen was understaffed so the dessert was late and made complimentary. I suggest something be done about the blinds. The evening sun is brutal and we were told the wait staff are not allowed to lower unless they lower all because one window is broken (?). Service very "fast": good for business; rushed for leisure. Pricey. Noisy. Decent food. It was an awesome experience! We will definitely come back! Friendly service and excellent food. The crab bisque is to die for and oh the chocolate dessert. 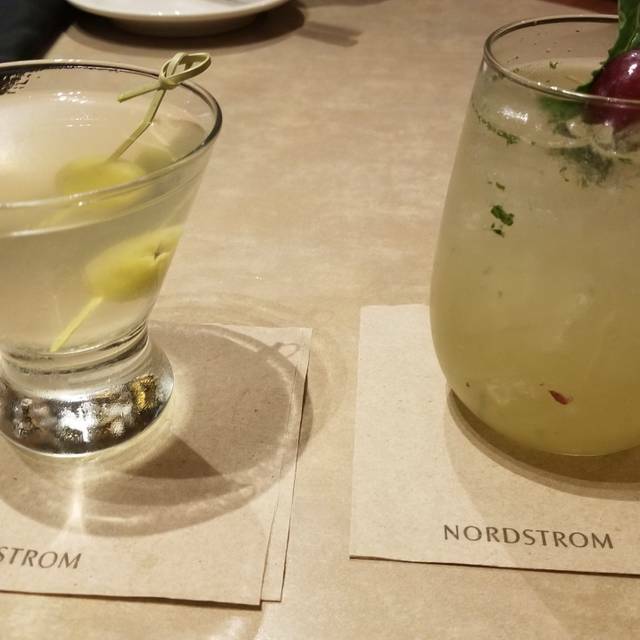 I look forward to eating the salmon nicoise salad at Nordstrom; however, upon my last visit, I found that the complete menu has been changed. I realize that restaurant must change their menus from time to time. It's unfortunate that I probably won't visit the restaurant again. The big disappointment was that they were out of the chocolate that comes with the bill. The menu changed again. Need to have options for vegans, it was a big mistake to take the hummus off the menu. And still miss the Vine Ripe Tomato Salad. Most of the soups have dairy in them. We were celebrating a birthday and nothing is done for birthdays, which is a disappointment. I've eaten here before and I don't know what happened. We had a group of 10 that showed up right at opening, it took 45 minutes to get our meal with the restaurant empty. The menu was revamped and the portions seem smaller. I had the lobster mac and cheese, this was a $20 plate. I had a seafood mac n cheese at a higher end restaurant in the Galleria area the day before and the portion size was double. I was very disappointed in this visit. We have attended this restaurant 2 years in a row and twice they they have always impressed us. 10 Stars. I enjoy meeting friends here. Great place to visit and food is always good. I specifically asked the server, is the Turkey Sandwich served hot? He said yes and when I got it the turkey was cold. Fries were greasy also. I go here at least 2-3 times a month and always ask for Felipe. He is awesome and delivers on service. The chicken paillard is my go to meal. The French onion soup is always wonderful. I am never disappointed with a stop at Bazille. The food is fresh and high quality and service is always good. In addition to a nice lunch spot it is a great spot for dinner and typically not filled with shoppers and kids in evening. Food was great! Everyone from the host to our waiter, Kevin were very accommodating, friendly and attentive. First time at Bazille, and was very pleased with the service and quality of the food. Will recommend the restaurant to friends and will be back when I am in the area. Love the food, atmosphere and service. I only ever ask for Felipe! He has been my server there for many years. We love Bazille. It is one of our favorite places to go for a nice lunch. The food is excellent and the staff goes out of their way for the patrons. Expensive for what you get. Salads are excellent but other menu items are ordinary or bad. Food was pretty good. We had lunch there to celebrate my friends birthday which I mentioned ahead of time. They said the only thing they could do would be to write happy Birthday on the plate and a candle for the desert we ordered (and paid for). When the time came, I had to go ask for it and was told it couldn't be done because the chef left. I showed my disappointment for no special birthday treat aside what I had to order. After returning from the restroom, somehow they managed to write happy Birthday on the plate but couldn't find a candle. It was a bit frustrating given this is supposedly an upscale restaurant and most places treat the birthday person to desert and decorate the plate. It was like pulling teeth but we made the best of it. Super super crowded today, so the noise level was very high. Our service was slower than normal. We had to ask about our meal and told there were two orders ahead of ours. Food was delicious - as always! Seemed overwhelmed by the crowd. Convenient but service is slow and always very loud. We love Bazille. We don't live nearby, but whenever we are in the area we go there, usually for lunch. The food is delicious, the service is great, friendly atmosphere, some healthy choices, good wine selections. Highly recommend. I look forward to my next visit. Good food! Good service! I go there often and consistently have had a good experience!! We had a great lunch with delicious food and a wonderful server. This is one of our favorite places to lunch.